For those of you who love art and would like to carry some in your bag; The Art Cube does a wonderful job! Making miniature paintings that you could wear around your neck or carry in your pocket, we adore their innovations! With the thought of creating art that caters to all, the founder created the motto of uniting you with the art piece of your dreams (even if it’s a bizarre painting of you holding your dog while smoking a cigar). 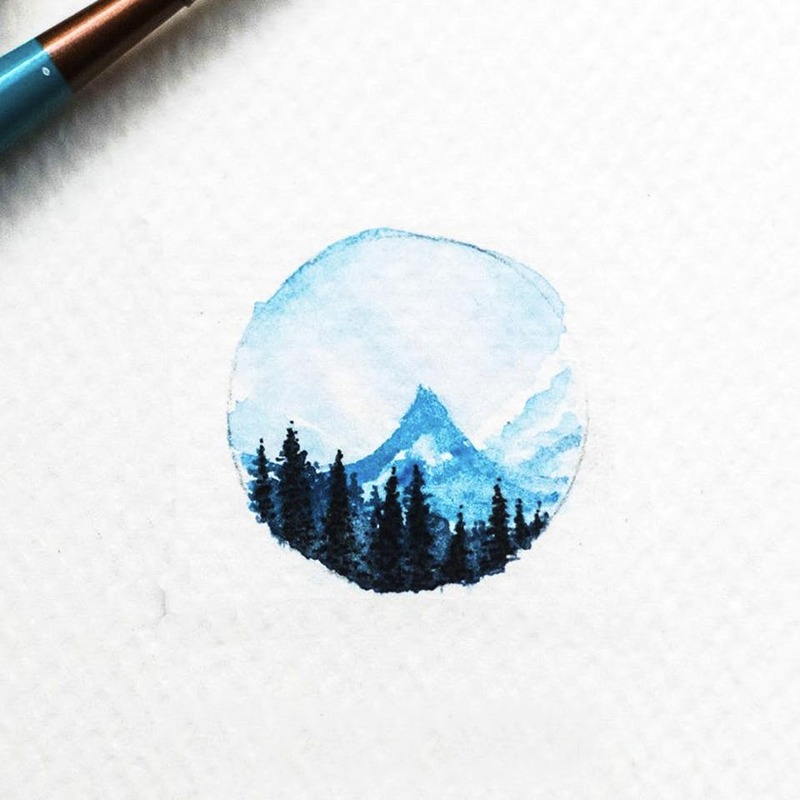 From creating scenic backgrounds to floral designs, we love that they indulge in miniature paintings. This is their most popular and loved style, since you could double up the art as accessories as well (we love wearing art that lets us express ourselves!). Be it their rendition of Van Gogh’s Starry Night or that old photo of your mum and dad, you can now wear these paintings around your neck in a locket! So if you’re looking to gift a dear one, we suggest getting one of those adorable pendants! They also undertake art consultancy and do portrait and figurative illustrations. Using the mediums of watercolour, acrylic and oil paints, we adore that all their work is hand painted. Since they don’t have a retail outlet, they’re taking orders on Instagram for now. The Art Cube conducts workshops where they teach you to paint in different mediums like acrylic and oil paints so follow their social media to know when.